If you know me personally, you know that it is quite hard for me to stay still. And by this I do not mean that I fidget and fuss, but that I crave adventure and movement on a scale that most people just don’t understand. While up to and including this point in my life, travel on a grandeur scale has not been possible – whether monetary tightness or family obligations or school requirements, or, or, or, there has always been something trumping my wild heart’s need to run. That being said, I have not let that stop me from getting my fix when I can and instead, has made me quite the well-rounded guide for trails and destinations within our beautiful province that just have to be tackled. On a weekend or day off I am often up before the sun and off – solo or with company – hitting the open road with a destination in mind, ready to feed my soul the nourishment she craves of nature, adventure and exploration. 1. 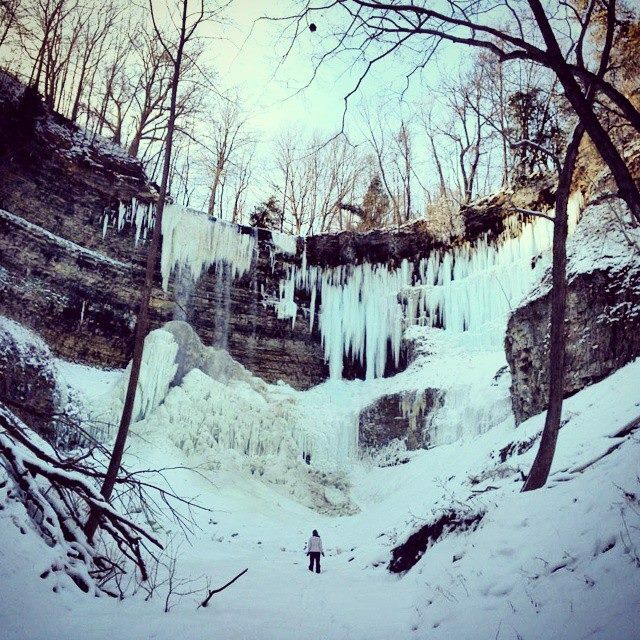 Spencer Gorge Conservation Area: This location contains some of the best hiking within a 30 minute drive of Cambridge, Ontario and boasts gorgeous views of the escarpment. 2. Beamer Memorial Conservation Area: This beauty of a spot was first visited on a fall day where I was feeling particularly restless and needed a new perspective. 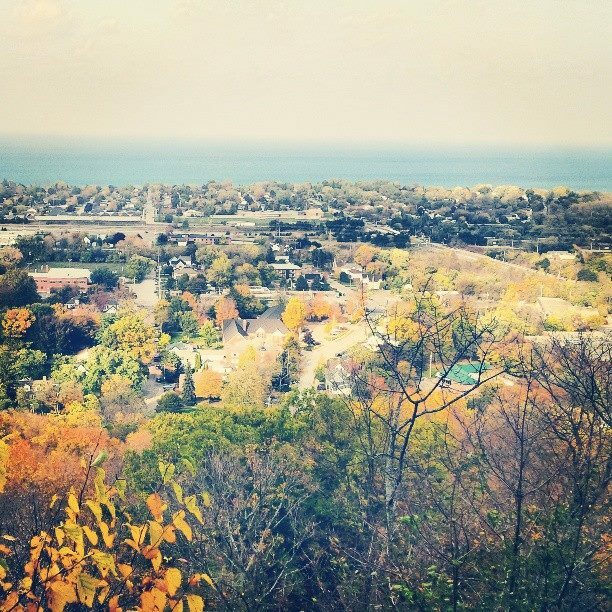 Not knowing where I wanted to head, I Googled ‘best Escarpment vantage points’ and this beauty popped up in the search results. It really is something to take in. Roughly an hour’s drive from Cambridge, this trail is located in Grimsby Ontario and is part of the Bruce Trail system that runs along the Niagara Escarpment. There are multiple access points (I have found 3 so far) boasting views of the escarpment cliffs, terraces, Lake Ontario as well as the upper and lower falls. If you’re a bird fanatic, try to visit during the spring Hawk migration (roughly March 1 – May 15) where you can catch these stunning birds of prey on warm sunny days between 10:00am and 3:00pm. New to hiking? From the main gate the trail is fairly flat, roughly 1.9km and easy to navigate for even the most novice hikers. With multiple lookout points and even more challenging trails leading into the basin, this area needs a whole day’s dedication if you can manage. 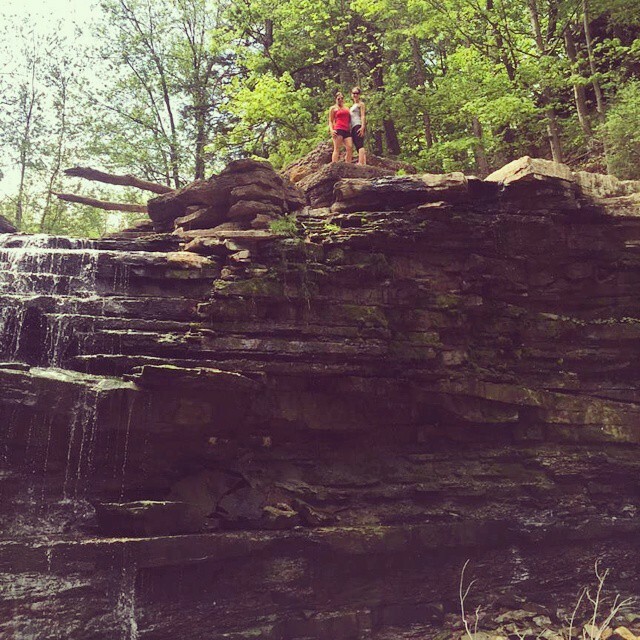 If you’re able and wanting a little more challenge, climb your way down from the back entrance or end of the top trail from the front; here you will find the upper and lower falls just waiting for you to explore them. 3. 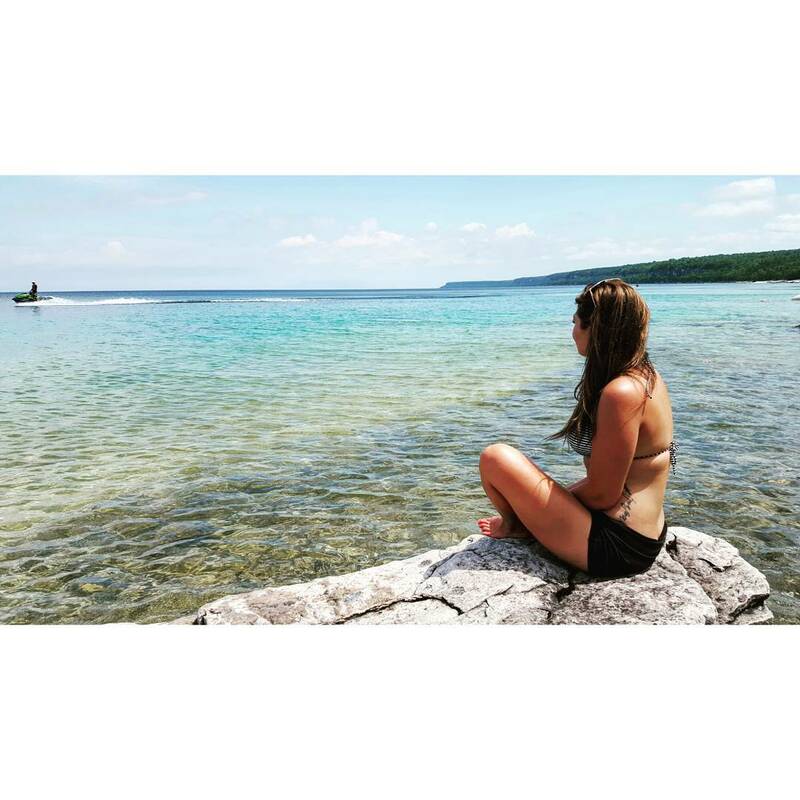 The Bruce Peninsula National Park: While the furthest of my favourites, clocking in the drive at just over 3 hours from Cambridge, this breathtaking wonder located in Georgian Bay is well worth the drive. 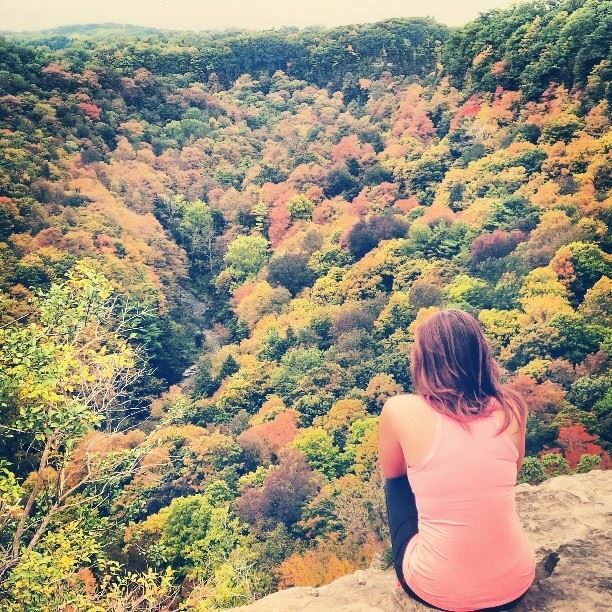 A part of the 885km of Bruce Trail, this section offers hikers the unique Northern landscape, incredible turquoise waters and four trails within the park to choose from. As it’s located in the heart of a biosphere reserve, you’re sure to see your fair share of wildlife and interesting vegetation, massive rugged cliffs and limestone barrens. Make sure you make your way down to the Grotto – a natural cave on the shoreline that was formed from the waves from the Bay washing in over thousands of years. If you’re feeling extra adventurous and the park just isn’t enough for you (ha, yeah right), head over to Flowerpot island via boat and spend the day on an additional 6.5 km of trail, admiring the natural sea stacks, navigating massive caves and touring the historic light station. 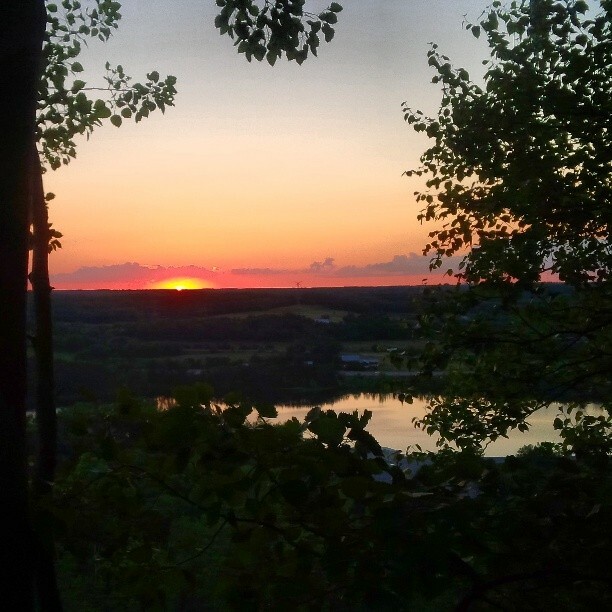 Kelso: Located in Milton, just a 40 minute drive from Cambridge and easily accessable from the 401, Kelso is a location I would consider when I am looking for a slower pace, less challenging climb. Still providing great heights for views, it also houses 22 km of hiking terrain which is also suitable for mountain bikers looking for a challenge, 396 hectares of camping, and a network of incredible caves to explore. With the perfect Western views, Kelso is a great place to head with a picnic, your favourite person and find a spot to perch while the sky gives you an incredible show at sunset. 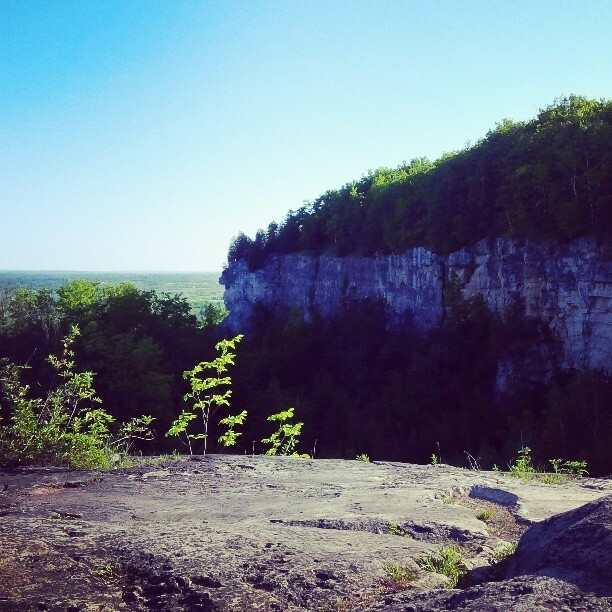 If you’re wanting the same proximity to home as Kelso but a little more adventure, on the alternate side of the escarpment you’ll find Rattlesnake Point, accessible from Kelso or a short drive, which hosts three rock-climbing areas and an additional 12.7 km of looping trails. These are just a few of my favourite spots in our gorgeous province of Ontario – I’ll have to write a few posts to fit them all in as there are still plenty of places in Muskoka, Niagara, through Huron and Bruce Counties, Sarnia, etc. to be shared. What are some of yours? Any different ones you might recommend for me?